Like most horror fans, I grew up reading the novels of Agatha Christie. 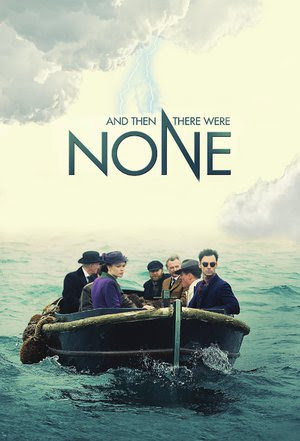 I adored the Poirot series, especially Murder on the Orient Express, but And Then There Were None was my absolute favorite. 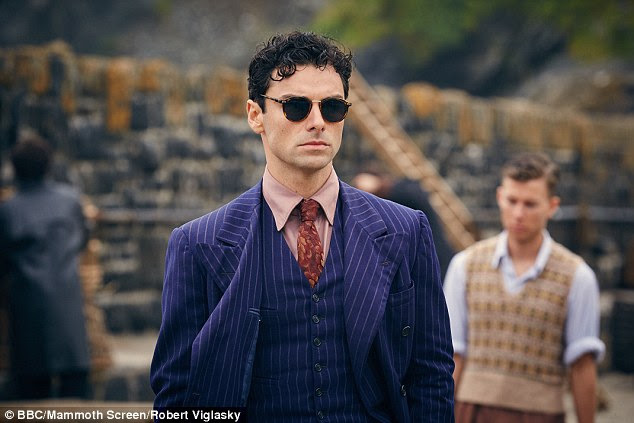 Before I'd even fully grasped the "one by one" slasher trope, And Then There Were None introduced me to the terrifying idea that you could be trapped in a location and watch everyone around die at the hands of unknown perpetrator... a perpetrator who could be standing right next to you. There have been multiple adaptations of Christie's novel throughout the years, from the first in 1945 (altered heavily to comply with censorship) to looser re-workings (Harper's Island, Identity, Devil). But no direct adaptation of the original novel has truly captured the horror of Christie's original vision. Until now... Bless you, BBC. Dark, unsettling, and vastly empty... The location is scary too. The Story: Ten complete strangers are invited to an island with no idea what they have in common, or why they are there. That doesn't entirely matter, however, when one by one, they begin to die in the same manner as the old British song, "Ten Little Indians." Forced to admit to their most terrible secrets in an attempt to stay alive, alliance are made, rivalries are formed, and the survivors begin to turn on one another, until as the old rhyme goes... And then there were none. 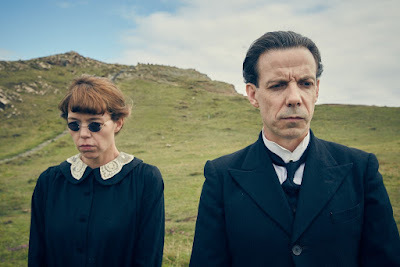 Adapting Agatha Christie has never been a problem per say, but I can say without hesitation that director Craig Viveiros (Ghosted) and screenwriter Sarah Phelps (The Casual Vacancy) have expertly managed to tap into the visceral tension of Christie's original story. The filming location of Cornwall was a perfect choice, as it represented both the beauty and desolateness of Soldier Island to a T. But the gauzy and dreamlike shooting style (complimented by pitch-perfect cinematography from John Pardue) only makes the whole series that more unsettling. Haven't mentioned the casting yet... But oh, I'm going to. Because this mini-series is a BBC production, the one thing you know going in is that the casting is going to be phenomenal, and it is, almost beyond reason. 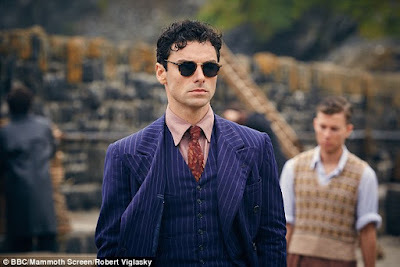 Sam Neill, Charles Dance, Toby Stephens, Miranda Richardson, Maeve Dermody, Noah Taylor, and my personal favorite, Aidan Turner, are among the skilled actors that make up our collection of questionable souls. Each role could not have been more perfectly cast, especially if you spent your childhood imagining what these people looked like, and no film had quiet gotten there yet. I didn't imagine that though. But now I will. The best part of the BBC version of And Then There Were None is that it is in mini-series form, which means we get the full experience in three episodes, and every one of them is amazing. The tension builds from episode to episode, which leaves you desperate to finish the whole series in one sitting. Even if you have no history with Agatha Christie, or her novel, this is the kind of mini-series that mystery and horror junkies dream of: it's thrilling, it's brutal, and thanks to the BBC, a damn near perfect television experience. What is YOUR favorite Agatha Christie novel?